On Thursday October 22nd, WagonWheel Presents… welcomes acclaimed singer/songwriter M.G. Boulter back to Shakespeares. 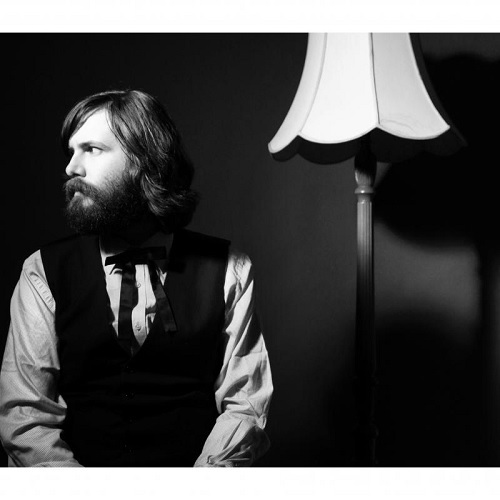 A regular visitor to these parts as front man of The Lucky Strikes and noted side man/band member for the likes of Neil McSweeney and Simone Felice, tonight he returns for a solo show ahead of the release of his latest album. Joining him for the Sheffield leg of his tour will be Adam Myers of Garforth & Myers plus Arcana Valley. Advance tickets priced at £6 are available from http://www.wegottickets.com/event/330633 or entry on the night will be £8. Doors open 8pm. M G Boulter is a songwriter and musician who currently lives on the outer reaches of the Thames coast in England. M G’s first collection of songs was released in 2008 under the moniker, Blue Vinyl Island. The follow up, The Whispering Pines, was released by Stovepony Records in 2012 and continued the exploration of lo-fi roots recordings that was started in Blue Vinyl Island. Third solo album, The Water or the Wave, was released by Harbour Song Records in 2013. M G recruited various friends and colleagues for the album sessions, including Lucky Strikes compatriot Paul Ambrose, Bryony Afferson and Lizzy O’Connor from London folk and bluegrass band Troubadour Rose and, by no means least, legendary Dire Straits and Bob Dylan drummer Pick Withers. This eclectic cast helped Matthew create a work of considerable warmth and subtlety. As a player of an array of stringed instruments, M G Boulter has also worked alongside many other artists including Conor Oberst, Neil McSweeney, Duke and the King and Rosalie Deighton, while remaining a long standing member of the Simone Felice Group. M G Boulter continues to tour and record with his band, The Lucky Strikes, first as bass player from 2006 then as singer and guitarist by 2009. The band has released four albums to date. Rory Garforth & Adam Myers are the songwriting partnership at the helm of a folk/acoustic collective, involving musicians from all over the UK. With their base in South Yorkshire Garforth & Myers provide “lushly brewed melodious folk hypnosis; a multitude of and a masterclass in well crafted songs and understated delivery”. 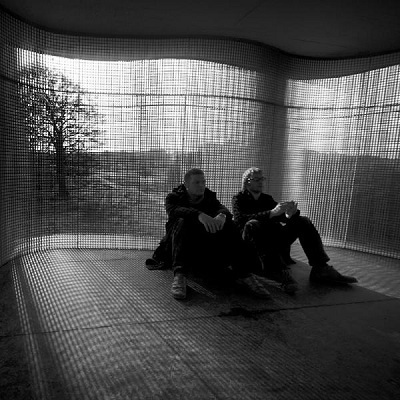 After initially meeting whilst involved IN separate musical projects Rory & Adam started working on material together. The result was a sound reminiscent of 60’s psychedelic folk, carefully crafted multi part harmonies with long time band member Emma Johnstone, would form the basis of a selection of demo’s which attracted the attention of producers Keith Angel and Andy Seward; perhaps best known for their work with Jon Boden , Kate Rusby, Martin Simpson, John Tams, Chris Drever et al. Work started on putting together a self-financed album after months of writing, planning and preparation and features the talents of Devon based Nick Wyke and Becki Driscoll layering up lush string arrangements which has become integral to the sound. With additions from Magazine’s Dave Formula on electric piano and hammond, Andy Seward on Double Bass, The Angel Brothers; Keith Angel on Drums and percussion and Dave Angel on Electric Guitar and not least the essential contributions from Peter Rophone on Electric Bass and Phil Gardiner on Piano the result was their self titled debut album. Tonight Adam plays a solo set. 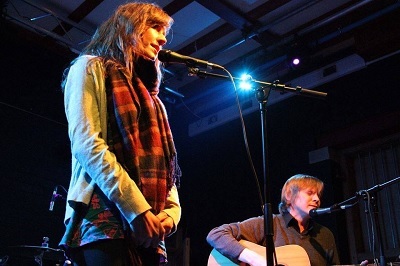 Lil Gibbard and Chris Murphy are Arcana Valley, a Sheffield-based folk duo who write songs about displacement, fantasy, the sea and forests as well as odes to friends. Songs that are turbulent, dark but essentially optimistic.